The best AutoRestart plugin in the market! 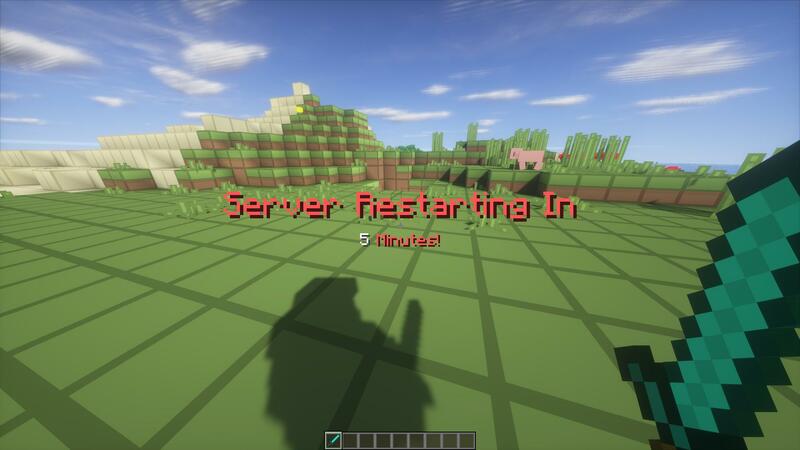 Restart your server automatically today, and clear some of your RAM for a faster, smoother Minecraft experience. For this to be accomplished you need to start your server using the AutoRestart-BootLoader.jar. This will wrap the server into a bootloader and restart or stop the server as needed. Using this bootloader will have the AutoRestart plugin working as it should. I would like to thank Numero Uno, for doing this showroom for me. I went on YouTube, and was curious did anyone make a video for this plugin, since my old was private and I found this video! Please subscribe to Numero Uno, I appreciate what he did. Like the video, watch it, and everything. Thank you to all. First, place AutoRestart into your plugins folder, and load the server. Once the server says "Done!," then close the server. Move the start file from the AutoRestart folder into the same folder as your spigot jar file, and edit the file to match your jar file and java parameters. If you are running a MultiCraft server, your server provider should already have the restart command setup. Start the server and test if the restart script works by typing "/restart," if this previously already works then no need to touch this. Once complete, that's pretty much it! Enjoy. * Restarts on hour interval, able to use decimals on config! * Restarts at a specific timestamp! * Broadcasts reminders, customizable in minutes on config! * Broadcasts final reminders on last 5 seconds! * Editable shut down messages! * Option to enable/disable on screen pop ups, on different events! * Change restart time in-game. * Force saves world when restarts! * Able to Start, or Pause the server timer in-game! * Automatically updates your old configuration file! * Add color codes to shutdown messages! * Execute commands before the server restarts on an X amount of seconds. change the amount of seconds before done so. * Added Max Players Exception. and the player amount is less than 10. * Configurable Max Players Exception! * Change amount of max players. * Set exception message when too many players online. * Set message before delayed restart when the amount of players have been met. * Shutdown message for Max Players Exception! 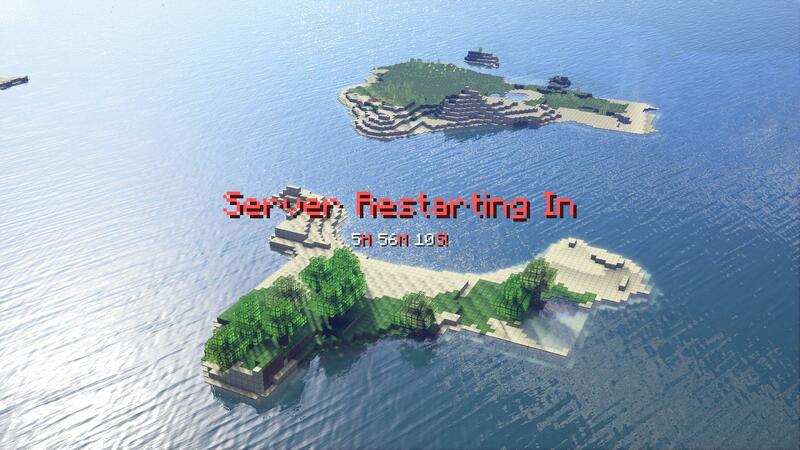 /autore now Restarts the server now! /autore in Sets the time the server will restart in. /autore pause Pauses the server AutoRestart timer. /autore start Starts the server AutoRestart timer. ## Global Broadcast and Private Messages adds flexibility on what you want your players to see! ## have the player who executed the event see a global message but not a private message, or both! ## command line cant recieve popups. ## These are global broadcasts the everyone sees. If the same task is enabled in "private_message"
## the player who initiated the event will not see the broadcast, but will see his own broadcast. ## Global broadcasts include the prefix in "main.prefix" config. ## Show the broadcast on the minute reminders! ## Show the broadcast on the last seconds of a server restart! ## Show the broadcast when the server time has been changed! ## The message broadcasted when too many players are online on restart! ## This message appears when the amount of players requirement is met! ## Messages have multi line support! ## There are no tags for this section. ## %h - hours, %m - minutes, %s - seconds. ## To understand ticks. 1 second is relevent to 20 ticks! So a second and a half (1.5s) is 30 ticks! ## Fadein, stay, fadeout are the 3 arguments. You can edit how long it takes to fadein, fadeout etc. ## You can also put the fade numbers to 0, and then the popup's will be instant! ## Enable or Disable the Popups! ## Show the pop ups on the minute reminders! ## Show the pop ups on the last seconds of a server restart! ## Show the pop ups when the server time has been changed! ## The pop up broadcasts when too many players are online on restart! ## This pop up appears when the amount of players requirement is met! ## This section is for the customization of the popup messages! ## This will stop your server from shutting down if you have more than X amount of players configured in "amount". ## your server will not shutdown until there is LESS THAN 10 players. ## The delay for the server to restart once player count as been met. In seconds! ## "global_broadcast", this player will not see the global message, but his own. ## Private messages do not include the prefix in "main.prefix" config. ## people with autorestart.start permission! ## This is set in minutes! * Make it where the server restarts on crash! * Play a sound when an alert pops up. Jonah_Ferguson, IsHarilloX, DerLev and 24 others like this. Wow, incredibly awesome, works perfectly!!!!!!!!!!!!!!!!!!!!!!!!! Easy to set up, and is essentially plug and play; great work man! Plugin might be good but the support is awful. Almost waiting a month for my issue to be responded. I have a problem when I use the pl in localhost restart normal but when I upload it to my host the server shuts down but does not start again could you help me? PM me so I can fix your issue. Works great, heavily improved the professionalism and appearance of my restarts. My only suggestion would be an option for a boss bar, they're less intrusive and could work nicely with a timer. Also, just wondering if there's support for multiline messsages? What do you mean choose the restart command? PM me please. What are you having trouble with permissions? I like the plugin, it is just that the actual restart function of the server does not work. I am using Multicraft, and I do not see an option to change it to Multicraft. Help please? PM me so I can help. good plugins could you add an option to personalize the order of restart ? Personalize the order of what? haven't had any issues with this recently very easy to customise and it automatically brings your server back up it's fantastic I definitely recommend using this plugin. Directly pops the item into your inventory! If full, then drops the item!